Have you been looking for a feature-rich, low-cost art director theme? Need a value-for-money kind of theme? Well, your search ends here. We have combined together with a list of themes that will satisfy your needs. So have a look and try one out! Vysual is a unique, creative and go-to WordPress theme for art-directors and photographers. It supports video, audio hosting along with full Ajax implementation. Visual features infinite scrolling, widget ready, MP4 support. It comes with guaranteed future updates besides having quality assurance. Stock Photo is an engaging WordPress theme for photographers, filmmakers, studios and creative agencies. It has a collection of stylized homepages which are easily customizable alongside unlimited color schemes. The theme features fantastic sliders, Custom Widgets, WPML compatibility and with some of the most popular SEO plugins. 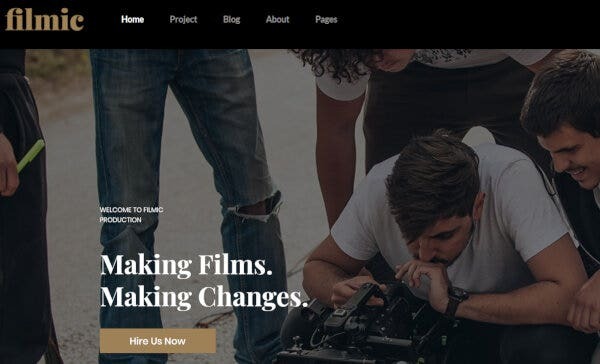 FilmMaker is a quick-loading best-selling theme to suit the needs of Video Blogger, art-director and creative agencies. It has 1-click installation, infinite color scheme and is fully customizable besides being SEO optimized. 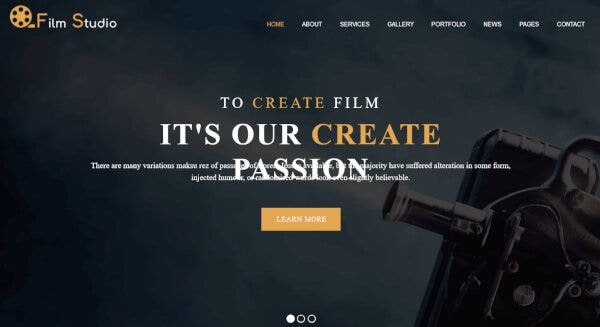 FilmMaker comes ready with Child Theme, Shortcode Generator, and Parallax animation effects as well as housing premium plugins. 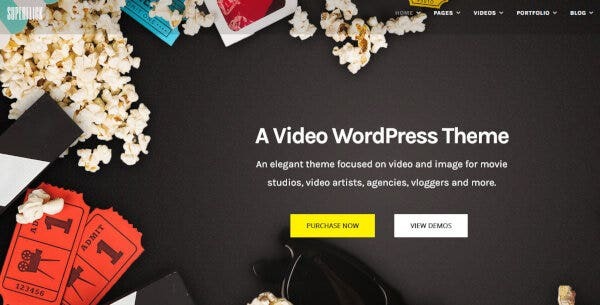 Fancy Photographer is a mesmerizing WordPress theme for video bloggers, movie directors and more. It comes with 2-step installation, filterable portfolio, and some amazing plugins. The theme features WPML compatibility, SEO-ready, along with loads of customizations. It is integrated with Custom Widgets plugin that allows social sharing of comments and posts of your website. 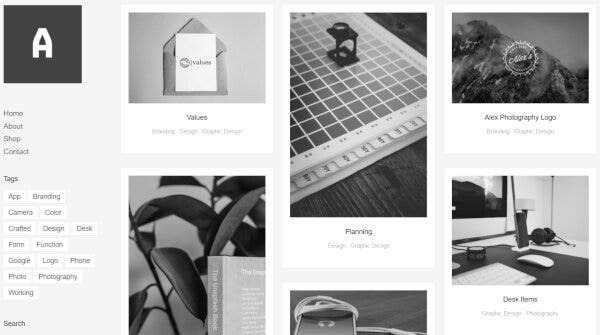 The BePortfolio theme is modular, clean and well-documented Art Director WordPress theme. It is best suited for art-directors, artists and photographers. 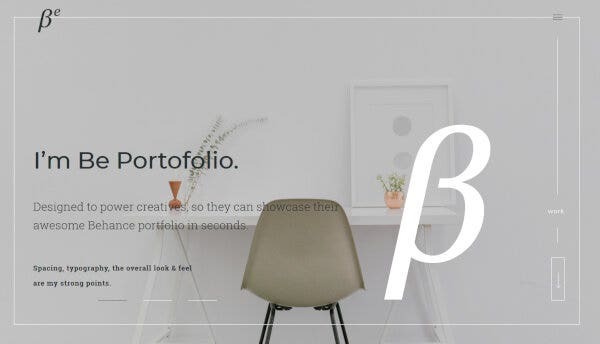 Beportfolio also features direct import, customizable layout, and personalized animation effects. It supports BeDojo plugin besides being responsive, widget ready and of high-resolution. BePortfolio is built upon HTML/CSS framework and has a multi-level menu for your work. Director of Photography is an essential theme for art-directors and video-graphers. It has multiple homepages, numerous layouts and a stylized showcase for your works. Director of Photography features MotoPress Slider and Cherry Simple Slider, two of its premium plugins. The Parallax Effect helps you to get a 2-D effect on your site, an easy installation, wide-range of customization incorporating some best SEO tools in the theme. Moreover, it is WPML and CMS compatible. BeAwesome is an interactive, sleek and modern theme for art-directors, photographers and designers. It comes bundled with future updates, quality assurance. BeAwesome features fast-loading, responsive and uber-customizable layout besides being built on HTML5/CSS3. It also has custom 404 pages, blog pages, and a direct import plugin. Happy Moments Videography is an engaging WordPress theme to suit the need of movie director, artists, videographers and photographers to show-off their work. 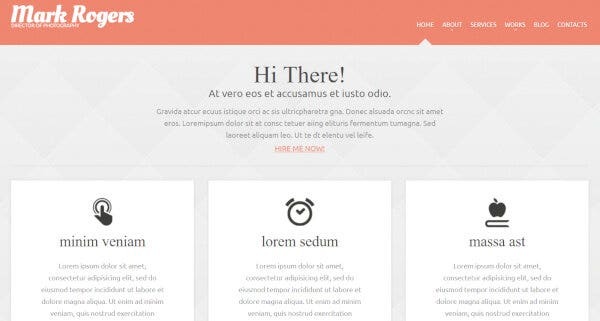 It is based on the Bootstrap Photography Framework with more than 15 beautifully designed templates. Happy Moments features multiple unique homepages with the infinite color scheme and royalty-free clipart and fonts. It is also responsive, well-documented and is of high resolution. Formota is a top-notch premium theme for art-directors, creative agencies, and illustrators to show-off their work. It is a documented, responsive and widget ready theme. Formota also features stylized homepages and has WooCommerce support. It is built on HTML/CSS3 architecture and has one-click demo installation alongside a feature rich layout. Formota features support for premium plugins, SEO optimization and loads of customization options for your homepage. 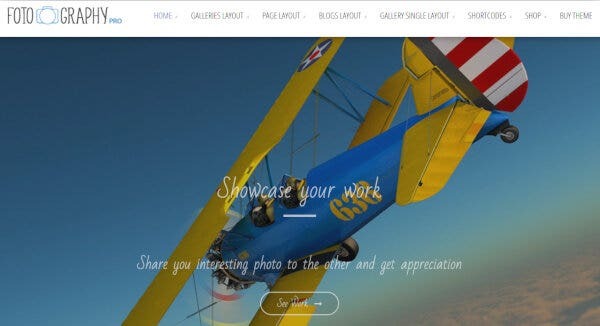 LFA is a top-notch video photography portfolio WordPress theme for all the budding art-directors to showcase their work. It is a fully responsive, creative theme based on Cherry Framework 4.0. LFA features wide-range of customizations including Masonry Gallery and Page-Wide Builder and Google fonts besides being well-documented and WPML ready. It comes with an update and quality package alongside premium plugins. 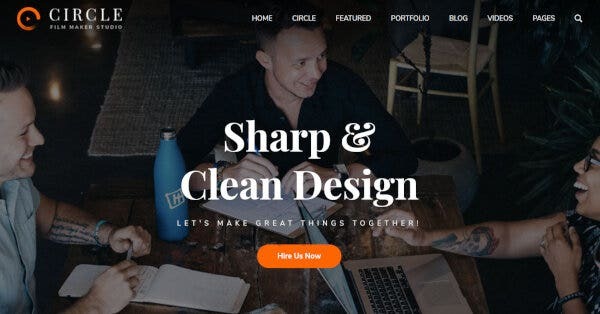 Circle is a multi-purpose artistic WordPress theme meant for Filmmakers, art-directors and video bloggers. It is fully responsive, widget ready and offers powerful Ajax support, unlimited color scheme. Circle also features single-click installation, Google fonts and is built with HTML5 and CSS3. Moreover, Circle supports premium plugins and friendly support service. 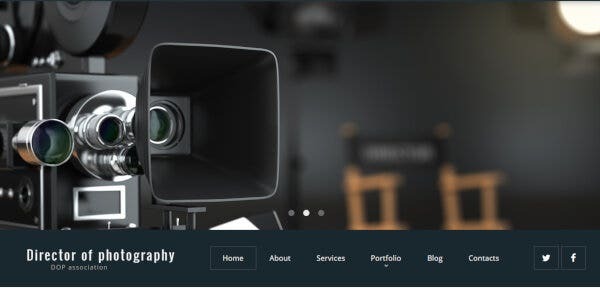 Photographer Portfolio is an elegant portfolio WordPress theme for directors, creative corporations and artistic individuals. It comes with a stunning portfolio, 100% Responsive designs, and unlimited layout combinations. The theme features fully-editable settings more than 80 shortcodes. It is WPML ready and the pages can be translated into any language of your choice. Cinerama is a stunning premium WordPress theme which can be used by art directors, creative agencies and more. It has social login tools, multiple customizations, and various short-codes. Cinerama also features excellent animation effects, powerful page-builder and is WPML compatible. Moreover, it comes bundled with Child Theme, Google Fonts, numerous layouts, and a powerful admin interface. Althea is a sophisticated WordPress theme mainly for web designers, artists, and photographers. It is built on Masonry Grid layout and is a highly responsive and customizable theme. Althea also features premium plugins like WooCommerce, Mailchimp, and Jetpack. It has SEO optimized and has infinite color schemes. 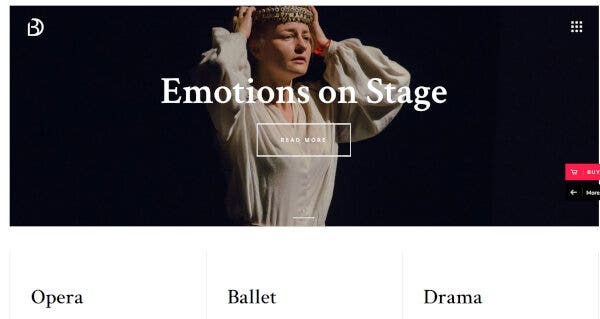 Bard is a stunning theme best suited to showcase your plays, dramas and more by art-directors. It is based on a contemporary theme and is fully responsive, widget ready and of high resolution. Bard also features numerous inner pages to choose from alongside premium plugins, shortcodes, easy installation, and stylized customizations. Moreover, it comes bundled with future updates, quality assurance, and WooCommerce support. Personal Premium is a premium WordPress theme meant for illustrators, artists, photographers or art directors. It has a mobile-friendly, easily customizable layout with tons of options to choose from. Personal also features multiple plugins like WPML, Buddy Press, Contact Form to name a few. It is also SEO customized and comes with shortcodes and color fonts. Film Studio is a unique stylized theme meant for film studios, creative agencies and more to exhibit their works. It is based on Bootstrap 4 and has a clean, modern and responsive design outlook. 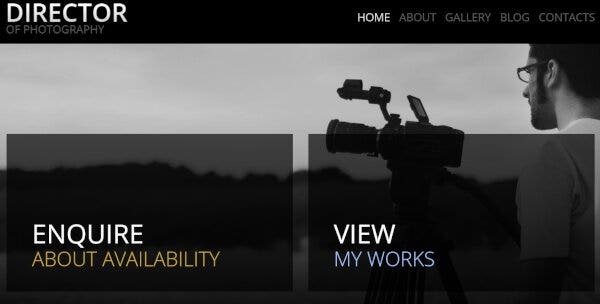 Film Studio also features WPML support, Google fonts, cross-browser compatibility besides being fast-loading and widget ready. It also comes with quality assurance and future update package alongside a valid HTML5/CSS3 code. Fotography is a fully responsive theme suited for videographers, photobloggers, and photojournalists. It is based on Lightbox view and comes with 4 different gallery page layouts. It is integrated with social plugins like Instagram and Twitter. It is cross-browser compatible and has CSS3 animation optimized. 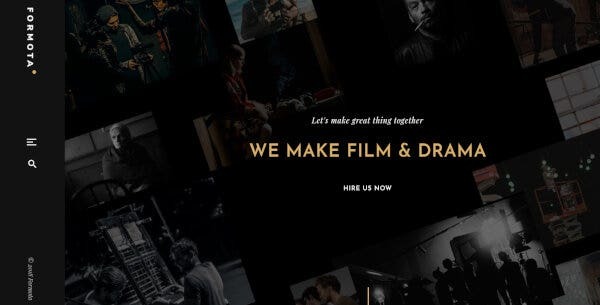 Filmic is a classy elegant WordPress theme suited for movie studios and film directors to present their work. It has numerous exquisite homepages, premium plugins support, and a mobile-optimized design. Filmic also features a load of customization and language translations and Child Theme. 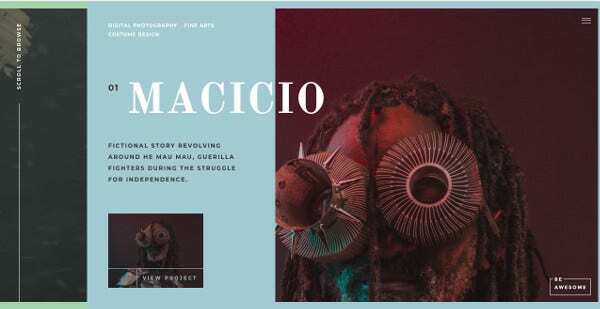 Photographer Portfolio is a striking well-documented WordPress theme for filmmakers, photographers and creative studios to display their projects. It is a responsive, WPML-ready fast-loading theme. It also features SEO optimization, custom widgets, and HTML5/CSS3 valid code. In addition to being highly customizable, it comes advanced backup and excellent built-in theme customizer. Superflick is an elegant immersive video-oriented theme suited for directors, creative corporations and artistic individuals. It comes with a stunning portfolio, premium plugins, and unlimited layout combinations. Superflick features powerful admin interface, Ajax integration and Wishlist alongside social media widgets and MailChimp ready template. Additionally, it has numerous fonts and is responsive and retina ready. Fotography Pro comes with multiple layouts and full-width homepage. There are custom shortcodes for different content posts on your website. There are 5 different gallery views including Grid view, Sortable view, Thumbnail view, Large Thumbnail view, and Alternative view. 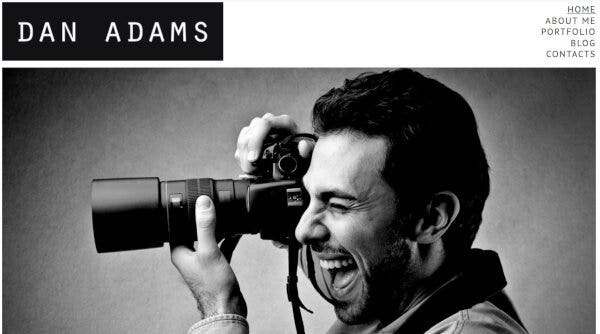 This is one of the best themes for photographers, photojournalists, art houses and bloggers. Did you choose your theme? Well then, what are you waiting for? Hurry up and see how it works for you. But do come back to tell us how it all went and don’t forget to spread the word.